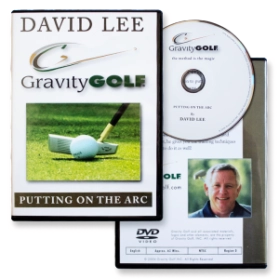 In addition to the “Gravity” Golf DVD swing series, David Lee has produced and released Putting on the Arc, an in depth production detailing the secrets of perfect putting. Although a golfer has the option to putt with whatever technique he or she may choose, the physics principles that apply to proper full swing mechanics don’t change when a player puts down the driver and picks up a putter. 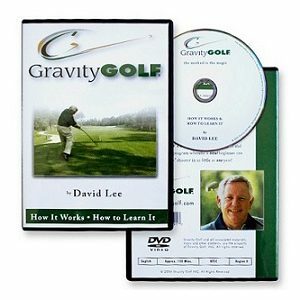 This insightful DVD explains the putting method employed by such greats as Ben Crenshaw and Bobby Locke. Subtle, but technically superior, putting on the “arc” allows golfers to achieve the highest level of mechanics. These lessons are especially beneficial for beginners and players who have suffered the “yips.” or that putt inconsistently. If your putting comes and goes, this DVD will explain a number of great drills that will help you develop perfect and reliable technique in your putting stroke. You can now DOWNLOAD the “Putting on the Arc” DVD and watch it on your mobile, laptop or desktop.